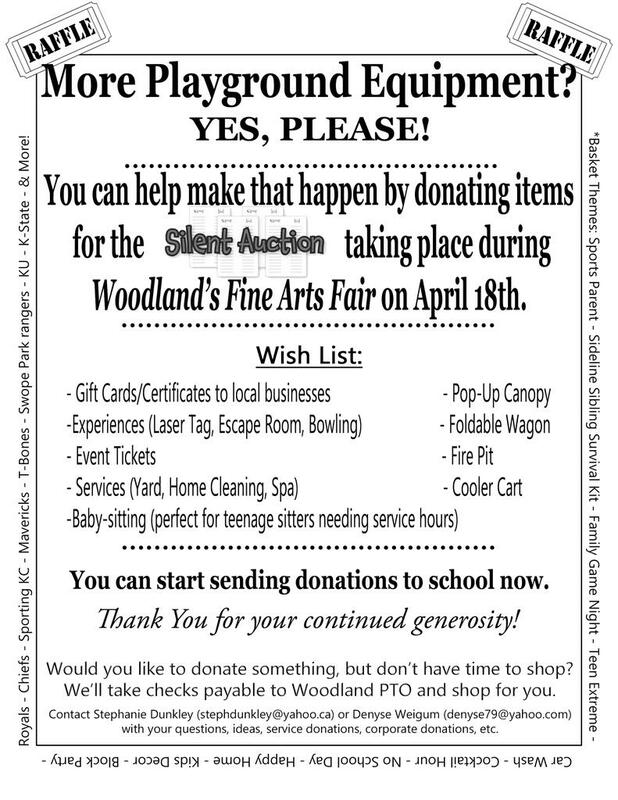 Woodland Silent Auction and Fine Arts Fair is coming soon. It will take place on Thursday, April 18 from 6-8 pm. We are raising money for more playground equipment and we need your help. Our wish list includes: Gift Cards/Certificates to local businesses, Experiences (Laser Tag, Escape Room, Bowling), Event Tickets, Services (Yard, Home Cleaning, Spa), Babysitting (perfect for teenage sitters needing service hours and many more. Donations can be dropped off at school during regular school hours. Thanks in advance for your support. Copyright @ Woodland Elementary PTO. All rights reserved.